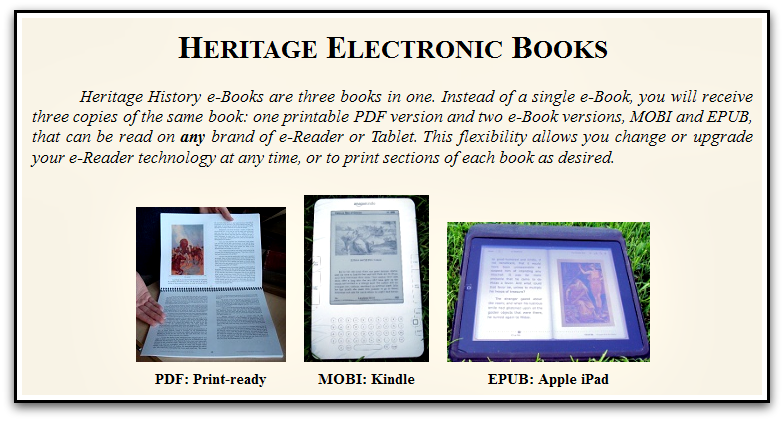 Who among you has an e-reader? 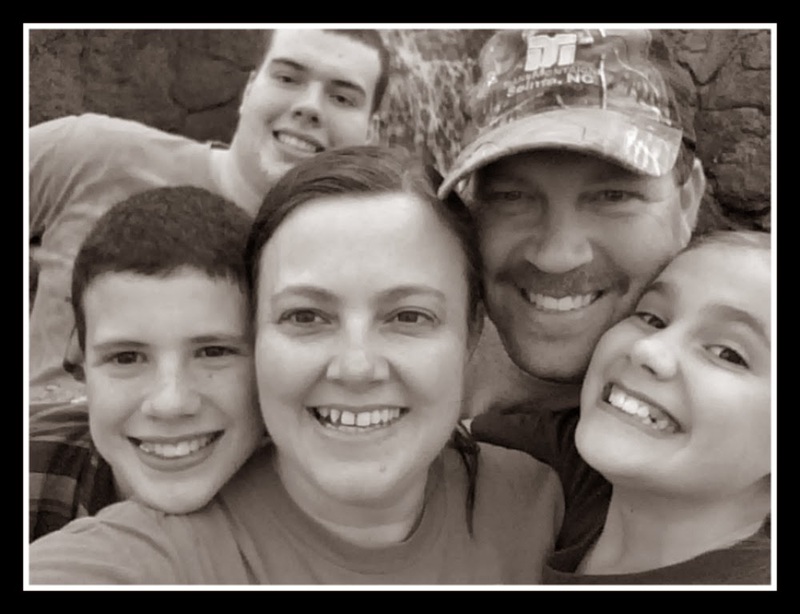 Most homeschool families do now including us. Heritage History offers a wealth of books that can be read for free at their website. 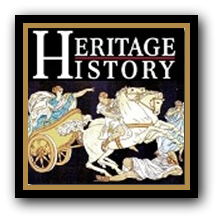 For those users who would like more option choices including a teacher's guide, Heritage History also provides Curriculum CDs which include specific time periods such as Ancient Greece, Early America, and British Empire. They also have a Young Readers collection, that features easy-to-read selections from many different civilizations. So, when you purchase the CD, you have 3 options available to use. It is also extremely user-friendly. We reviewed the Young Readers CD collection. 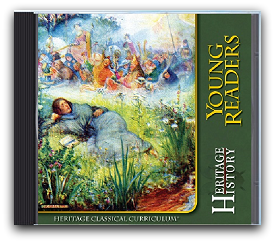 The Young Readers collection is the introductory unit of the Heritage Classical Curriculum which includes 86 living books or selections taken from other libraries in the Heritage History curriculum. It is intended for grammar school students who are reading fluently. It can also be used with younger students as a read-aloud. A complete listing of the books included can be found at the bottom of the page, here. Included on the CD is a pdf copy of the Teacher's Guide. The Teacher's Guide includes book recommendations, era overviews, a guide to "Living Books" history for instructors, binder covers, scheduling recommendations, weekly accountability forms, and so much more! It is loaded with information and well worth the purchase price to our family. 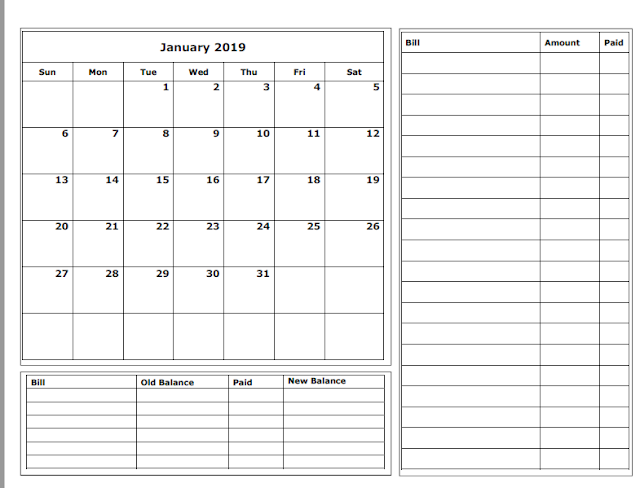 I like the ability to have everything already formatted for me so that I can just print and go! Time is valuable around here! As I mentioned before, I found the CD extremely easy to navigate through. I loved the look of it. It is formatted to be a replica of the website! 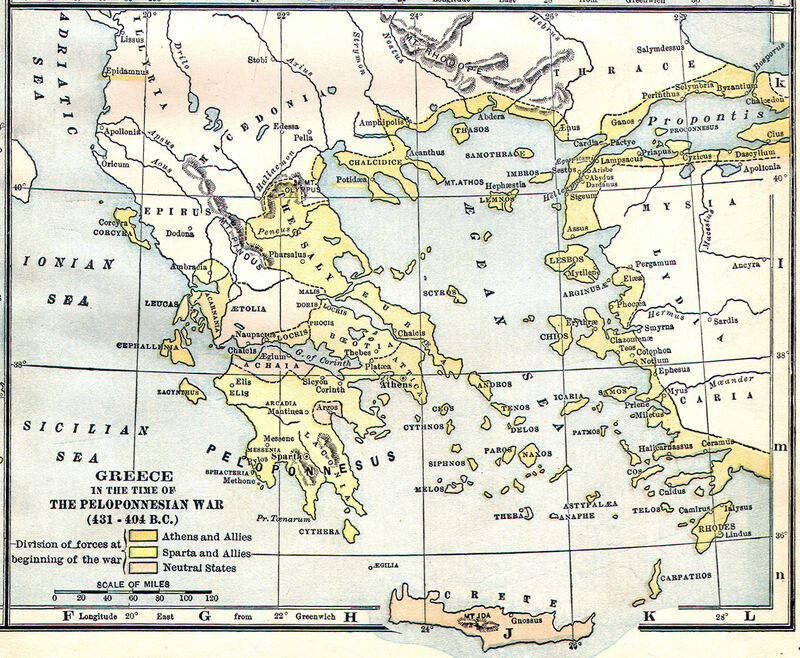 This curriculum can certainly stand alone as your main history curriculum or you can combine it with other history curriculum. See this guide for more information on combining. The CD's for each time period can be purchased here for $24.99 each or you can purchase the whole set for $99.99. 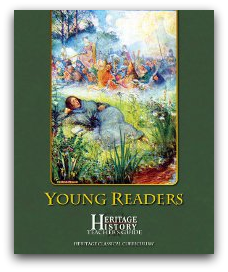 Don't forget to check out what my fellow crewmates thought about the Young Readers collection as well as the other collections available from Heritage History . **Disclaimer: As a member of The Old Schoolhouse Homeschool Crew, I was received a free CD to review. The opinions here are my honest and true evaluation.